The manicured, tropical grounds of Marriott's Imperial Palms play host to this timeshare resort's immense, 1,600+ square foot, three-bedroom, two-bathroom villas. Each is outfitted with a complete kitchen, living and dining areas, sleeper sofas, a soaker tub, screened-in balcony and washer/dryer. 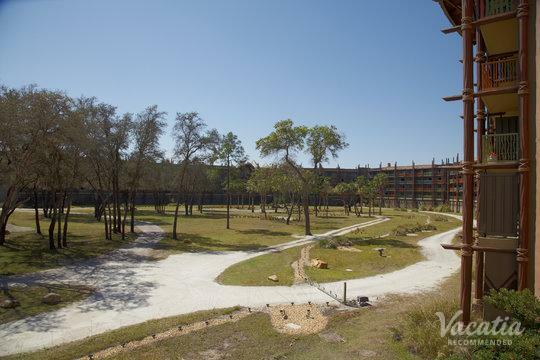 Guests can meander a walking path to enjoy the lagoon and fountains or kick their feet up after an excitement-filled day on a waterside hammock. The Marriott Imperial Palms has two swimming pools, one children's swimming pool, a hot tub, sauna, full fitness center, tennis, basketball, volleyball and sport courts, a ping pong table, playground and MarketPlace Express, for a casual bite. 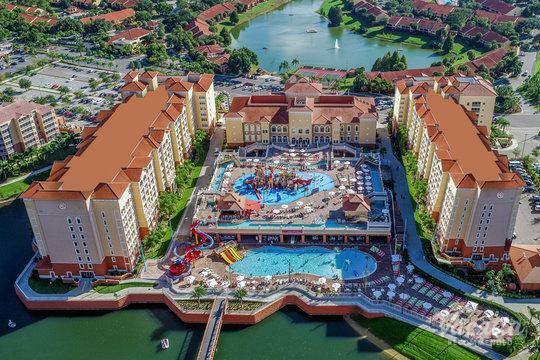 And if all of this isn't enough, guests may utilize the neighboring Orlando Marriott World Center Resort and Convention Center with a luxe spa, numerous swimming pools (including children's), hot tubs and acclaimed restaurants. Golf aficionados will appreciate the resort's proximity to Hawk's Landing 18-hole, championship Golf Club. 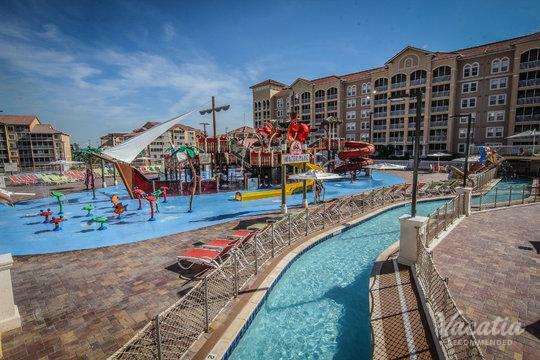 Top attractions like Disney World, Universal Studios, and SeaWorld Orlando, Gatorland, DisneyQuest and Walt DIsney World are a short drive from Marriott Imperial Palms.